As far as can be ascertained, the first dwelling on this land was around 1860, when La Chatouillette was a productive estate and named La Lande Du Bois. Because of its convenient location between the towns of Ger and Barenton, its relatively close proximity to the northern coastal ports and to Paris, we are told that the estate also provided services as a popular staging post. During the Second World War and the German occupation of France, German bombers destroyed all the original buildings on the estate. After the German surrender, a new residence and trendy Bistro were created on the property. The gastronomic Bistro served as a popular venue for nearby miners, farmers and tourists and soon became a recognised centre for the local, legendry delicacy, Calvados. Calvados (French pronunciation [kal.va.dos]) is an apple brandy from the French regions of Basse-Normandie (Lower Normandy). 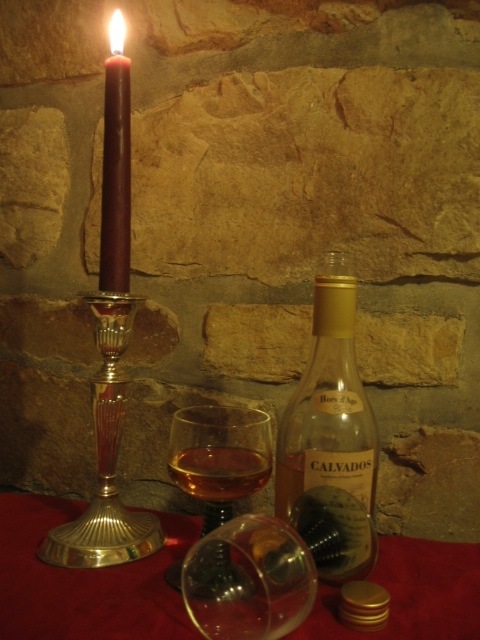 Calvados apple orchards and brewers are mentioned as far back as the 8th century by Charlemagne. “Lord” De Gouberville. He carried out the first known Norman distillation in 1554. The guild for cider distillation was created about 50 years later in 1606. 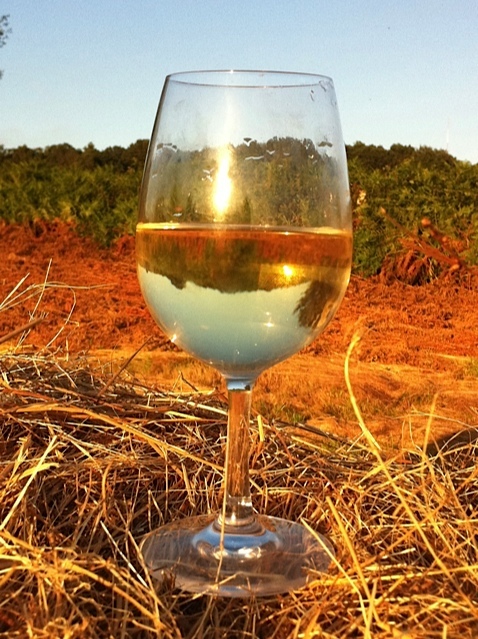 In the 17th century the traditional cider farms expanded but taxation and prohibition of cider brandies were enforced in France, except for the Brittany, Maine and Normandy regions. Local families also began producing their own brews, some proudly passed down through the generations. On special occasions we have relished and celebrated with vintages of over fifty years in the making! Because of its close association with the legendary apple brandy, in the late 1940’s, La Lande Du Bois was re-Christened La Chatouillette. 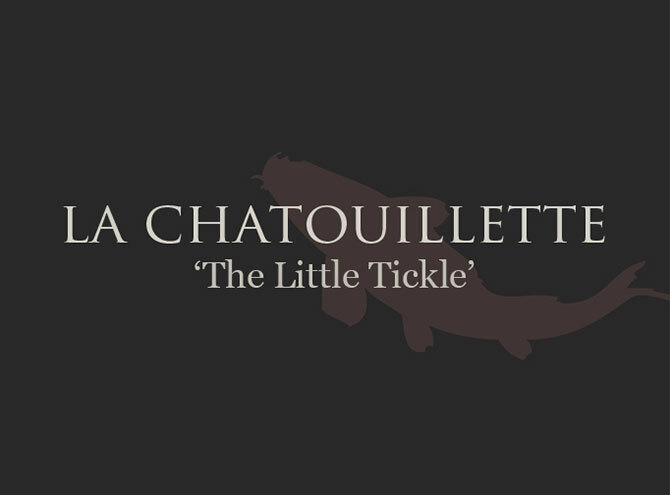 Literally translated, ‘La Chatouillette’ means, ‘the little tickle at the back of your throat’, after sipping Calvados. This apt and tantalising description precisely describes the exhilarating, warm experience of a fine Calvados. To this day, La Chatouillette has proudly maintained that cherished name and is planning to provide it’s own brand of the famous apple brandy for guests who wish to take home a component souvenir of their stay. In present times, the historic mines, coaches and bombs are long gone. They are now replaced by the bountiful and picturesque Carp Lake, established in the 1980’s. 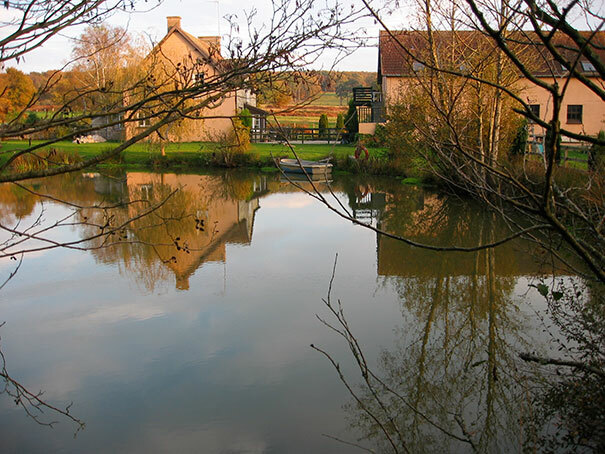 The Coach-House at La Chatouillette was originally renovated and turned into a Gite around 1997.